Serving: Indiana and the surrounding states. 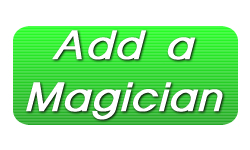 Wade the Wizard is a professorial children’s magician in the state of Indiana and beyond. Wade can perform at your child’s Birthday Party, Schools and Libraries, Family Events and Festivals, and more. 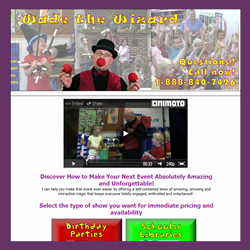 Make your next special occasion event truly unforgettable by calling and reserving Wade the Wizard today!